Spotify is a streaming music service that adopts freemium business model. Free version of Spotify doesn’t allow you to skip songs or select an individual song to play as you wish. However, those restrictions actually apply only on the mobile version of Spotify (Android and iOS). If you use Spotify on Web (Spotify Web Player) or desktop, those restrictions don’t apply. On Spotify Web Player, you can skip any song and play individual songs as you want. You can also create as well as manage playlists. Spotify mobile — be it free or premium — actually allows you to create and manage playlists as well. But again, the songs within the playlists cannot be played sequentially. Instead, they will be played randomly. You won’t also be able to skip the currently playing song. Spotify Web Player allows you to do anything regarding the songs, with the exception of downloading them. With over 30 million songs available on its database, Spotify is a great music player to accompany your daily routine at work. You can create playlists and add your favorite songs to them. Here is how create and manage playlists on Spotify Web Player. To create a new playlist on Spotify Web Player, first click Your Library menu on the left panel. On Your Library page, click the NEW PLAYLIST button which lies on the top-right corner. 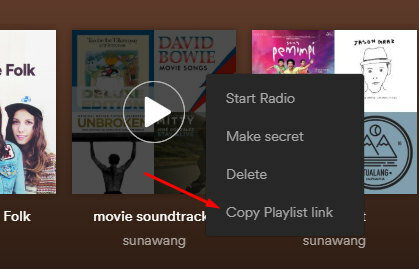 Give your playlist a name and click the CREATE button. Alternatively, you can also create a new playlist when adding a song to a playlist. There will be an option to create a new playlist on the appearing pop-up dialog. 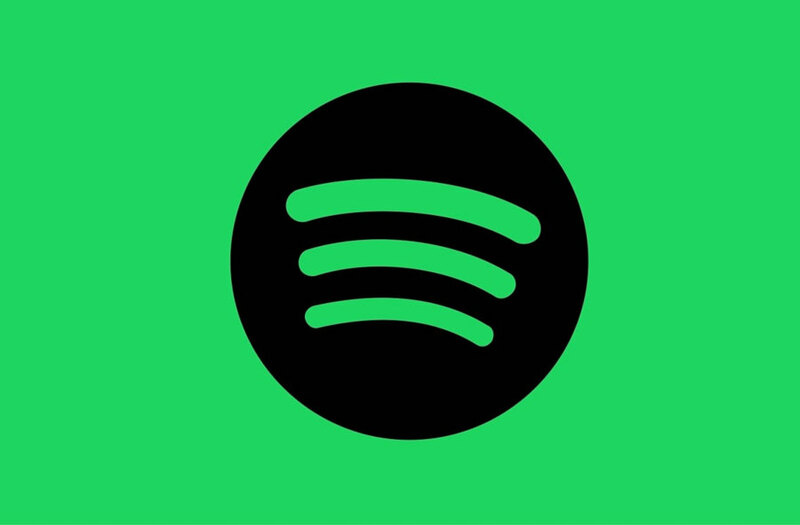 Spotify allows you to add as many songs as you want to an existing playlist. You can add a song to a playlist by clicking the three-dot button which you can see when you hover your mouse over a song. Select Add to Playlist option on the appearing pop-up dialog. If you want to remove some songs from a playlist, you can return to the Your Library page. On the PLAYLISTS tab, select a playlist you want to remove the songs from. 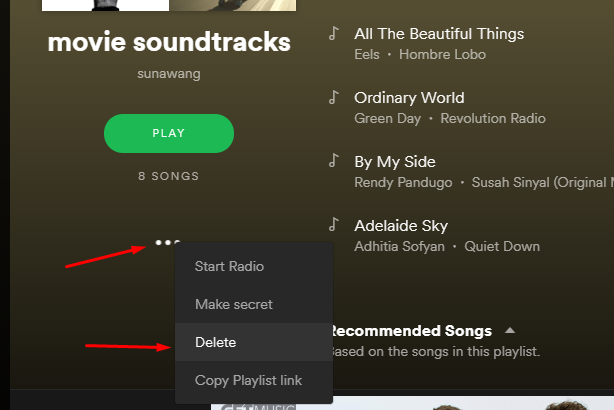 On the playlist page, hover your mouse over a song you want to remove from playlist and click the three-dot button and select Remove from this Playlist. After you have added a new song to a playlist, the song will be put on the bottom within the playlist. But, you can move it to the middle or even the top of the playlist. You can set the order of the songs within a playlist. To do so, click a song and hold and then move the song whether above or beneath the current position. 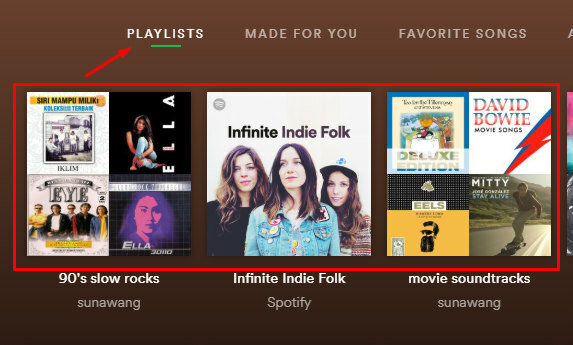 For a certain reason, you might want to delete the playlists you have created. 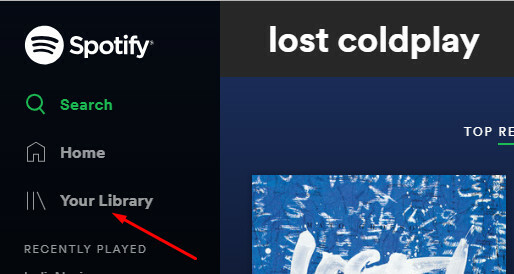 To delete a playlist from your Spotify account, first go to Your Library page and click the PLAYLISTS tab. On the PLAYLISTS tab, right click a playlist you want to delete and select the Delete option on the appearing menu. Alternatively, you can also delete a playlist from the the page of the concerned playlist. There is a three-dot button beneath the playlist thumbnail. Clicking on it you will see a Delete option. All playlists you created are discoverable. Meaning that all Spotify users will be able to find them as well as play them. If you want, you can make the playlists you created to be private. This way, no one will be able the play your playlists unless you. To set a playlist to be private, go back to Your Library page and click the PLAYLISTS tab. 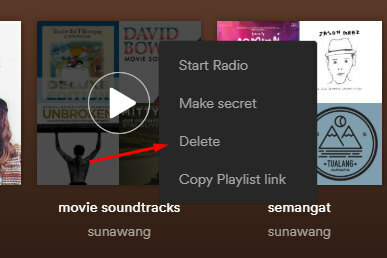 Right click a playlist you want to make private and select Make secret. 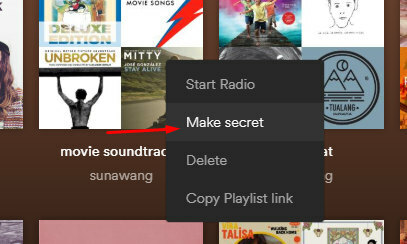 Alternatively, you can also visit the page of the playlist you want to make it private and click the three-dot icon beneath the playlist thumbnail and select Make secret. You can show the world your sense of music by sharing a playlist you created on Spotify. To share a playlist, go back to Your Library page. Click the PLAYLISTS tab and right click a playlist you want to share and select Copy Playlist link option. Alternatively, you can also visit the page of the playlist you want to share and click the three-dot icon beneath the playlist thumbnail and select Copy Playlist link or simply copy the URL on the address bar of your browser. You can share the URL anywhere on the internet. Whether on Twitter, Facebook or even WhatsApp.